Wow, I am certainly not a photographer! 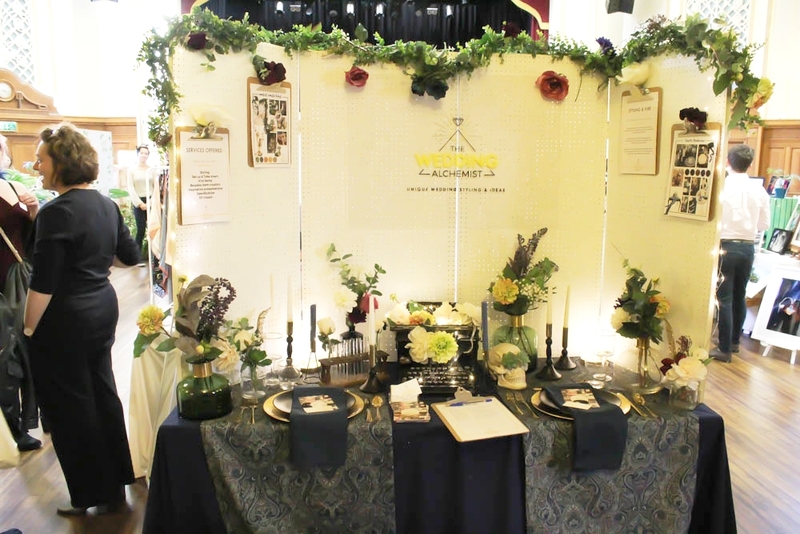 A few of my ramblings about my day at Chosen Wedding Fair at The Islington Assembly Hall on 28th October 2018. My reflection of a muddy, sunny, busy but lovely day exhibiting at A Most Curious wedding fair in Norwich in March 2018. Want to find the perfect wedding venue for your unique style? Follow these hints and tips to find the right venue for you. Abbey Pumping Station- Leicestershire You can see why the venue lends itself to Steampunk venue, what a beautiful interior! The Abbey Pumping Station is a really beautiful venue sitting alongside the National Space Centre. and they have recently branched out into weddings which is all very exciting! I was luck enough to take part in one of their first wedding fairs with a Steampunk theme in their new marque in the grounds. Rainbow weddings- a bit of colour to cheer up a dull day! So, as the days draw in and the nights creep up earlier, we decided that more colour is required! We don't know if you have noticed but in the mainstream people are becoming more confident with the use of colour so if colour is what represents you then allow the rainbow to shine through. In the countryside outside of Birmingham in a lovely barn venue but the Bride and Groom wanted more than the burlap and birdcages offered by the venue. The Bride wanted a 1950's rock and roll theme with an emphasis on polka dots. We made almost everything for this wedding from the pom-pom garlands to the table runners and with the weather being particularly warm the set up was a bit of a challenge but the end result was well worth it. It is great to see people are no longer shying away from colour. So if you're boerd of 'shabby chic' beige then please send me a message and let me take the stress away of decorating your wedding venue. So 2017 is well and truly in full swing. With so much inspiration around you when planning your wedding it can be difficult to focus and stay on budget. That is of course where I come in! But in order to help you really identify the style you want in your wedding we will be putting together boards to give you ideas on creative and inspiring wedding decor. 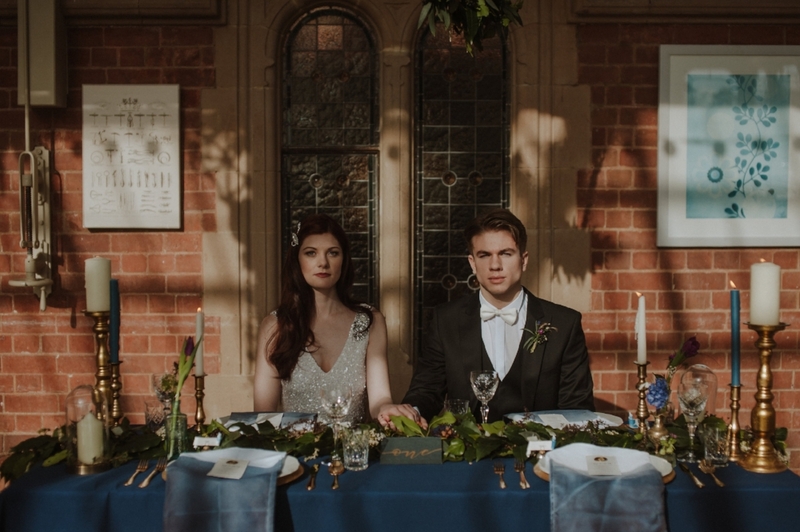 So here is our second wedding styling shoot. Perfect for those new venues popping up in old industrial warehouses and factories with rough materials of brick, concrete and wooden rafters. 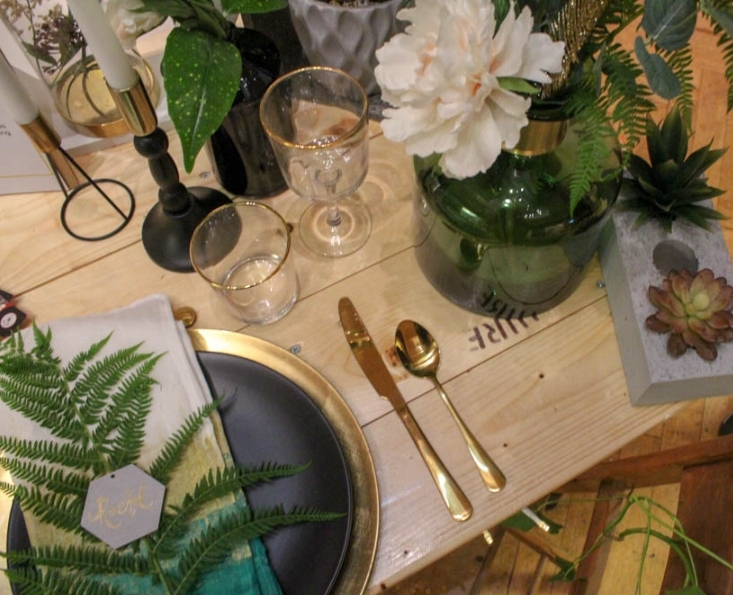 Adding some simple greenery in mismatched bottles or old tins and a bit of gold to enhance the feeling of luxury makes the perfect setting to an evening reception. 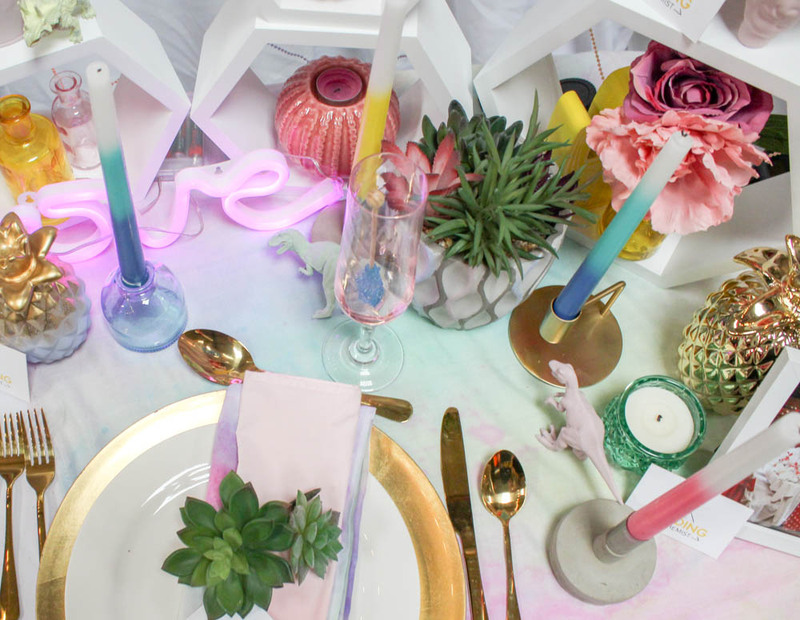 Introducing the new venue styling service and Rio inspired shoot. So here at The wedding Alchemist we have introduced a new venue styling and venue dressing service. It seemed like a no brainer combining experience in the Interior design field and the practical creation of bespoke products to create stress free beautifully decorated venues. We will be producing several shoots per year to help provide inspiration on both on trend and unique wedding styles. So it's been a busy 6 months here with the move into full time freelance work it has had some up's and downs. I am however excited to say that I am working on a new collection. I am a trained interior designer and tutor in this subject as part of my freelance work. I have decided to combine my interior design skills and Flwr to create a new homeware collection. It's my birthday so party inspiration is required! So today is my 28th Birthday. I must say It has not started that well (broken laptop-boo) so I thought I would get myself more in the party mood and look at some lovely images, after all a wedding should be a big celebration! So there are so many Brides and Grooms out there and It can be really difficult to sum up your personalities in a wedding without it looking like a bit of a mishmash ( I know I had to stop myself from including so many things!). I had to sit down and really think about how to distill my work into collections, making it easier to find what you really want. So the last wedding event of the year for me was the Wedding event with a difference hosted by Save the date magazine. Wedding events are always so much fun but absolutely exhausting and this one was no exception so I am sat here writing this with my feet in a washing up bowl! Do I become a DIY Bride? So this is an issue that I suffer from myself and I thought it would be interesting to see both sides of this tricky question. Do you do everything yourself, or do I pay others to do it for me? Now as a wedding supplier I of course provide a service for Brides and Grooms and seek to make sure I take out all of the stress of the situation. However, I am also a Bride to be and am taking on a lot of elements of my own wedding myself. Thank you for getting in touch with us, we'll respond as soon as possible - usually within 48 hours.